Since I can remember, the ebb of the summer season has always brought with it a sense of melancholy nostalgia. The feeling is especially present in the Adirondacks, where, the few warm months of this season are followed almost immediately by an endless wave of bitter cold and gloomy sky. In lieu of this, about a year ago a friend and I had been thinking of ways to keep the summer fervor alive; we wanted desperately to go out on a strong note before returning to college. We decided to plan an epic night hike to the summit of Mt. Marcy — the tallest peak in New York State. Our trek would take us through the night, arriving at the top for the sun rise, and then setting us on track to complete an 18 mile circuit. So, we began packing and assembling a hodge-podge group of fellow adventurers who shared our zeal. Around 10:30 p.m, the five of us piled into the car and embarked on our quest up to the mountain. Knowing that it would take roughly 5-7 hours depending on our walking speed, and that we wanted to catch the first glimpse of day break at the top, we decided to hustle. Unfortunately, we had overestimated the amount of time it would take us to summit (we were flying up the mountain) and we were caught at the peak in an incredibly wet and windy situation. For the next hour and half, we were forced to face the grueling conditions, that, if we had not prepared properly, could have easily put us in danger of hypothermia. Survival instincts kicked in like never before; my friend and I huddled closely next to the bald summit rock. We waited. When the first sign of light began to glow through the mist, that feeling alone made it all worth it. What was captured that morning speaks for itself. This picture captures perfectly, the helpless feeling while waiting for the sun to rise. Thank you, and indeed they do. It was surreal. 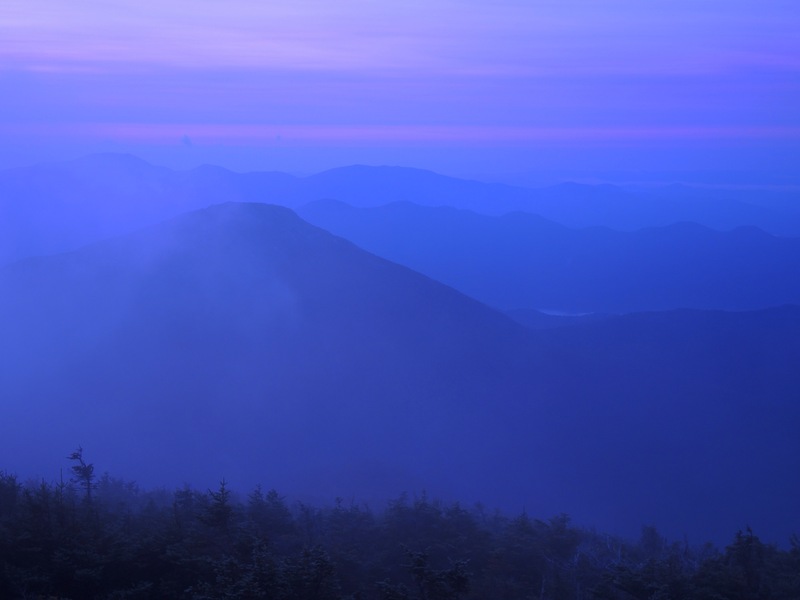 Have you been to the ADKs and/or are you a hiker? Hiya! Yup I hike occasionally… the latest was Mt Halla in Jeju Island. It was roughly around 1900mtrs but I only got at 1700mtr… weather was bad so im gonna have a go at it again next year hopefully. Till then Im sticking to the mountains around my region^^ i’m based in Asia anyway.. and never been to the states before. Ahh, very cool. I’d love to do some hiking over in China someday. I’ll be in Malaysia in June too. Enjoy getting over to that part of the world when I can; and come check out the states sometime!